Right now is a time when we need to be at our most clear and most strong, so that we can reach out to each other and create connections that will serve everyone’s health—especially the health of our planet. 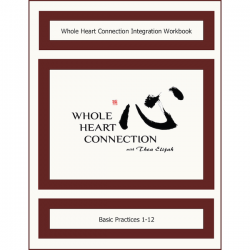 Whole Heart Connection is a set of tools for mutual empowerment, and for holding non-violent core alignment in conflictual situations. The body-based nature of these practices makes them ideal for becoming conscious of, and clearing, unconscious embodied racism and sexism, including internalized racism and sexism. These are tools for fostering equality even in the midst of social power imbalance, and becoming effective agents of social change without courting burn-out. In fact, Whole Heart Connection will do more for your health than you would have believed possible in such difficult times. Whole Heart Connection practices draw upon aikido, Chinese medicine and Sufism, all of which teach us that healthy change takes place on a me-first basis. Our goal is the well-being of entire communities, and so we are committed to fostering personal health every step of the way. There is no division between being an activist and taking care of ourselves. Want to know more about Whole Heart Connection? Click here to visit our WHC Free Resources section! Register by 11/1/18 for a $50 discount on the weekend! Students of this workshop qualify for 14 NCCAOM-approved CEUs. In the (very rare) event of a workshop cancellation, all tuition will be refunded. Otherwise, any refund is at the sole discretion of Perennial Medicine. Many people enjoy getting a Workbook in advance, so as to be more familiar with the practices during the workshop. Or, you can wait, and get a copy at the workshop. 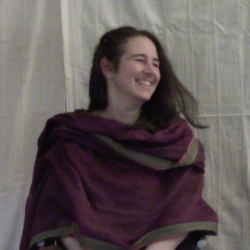 Thea Elijah offers phone consults for people who seek very direct, very personalized insight into how to use WHC to live from their deepest health. Add any or all of the following products to your cart, then click “View Cart” to checkout!